Tanzania (right-hand rhodolith). Katrin Østerlund. © Katrin Oesterlund (Katrin.Osterlund@uadm.uu.se). 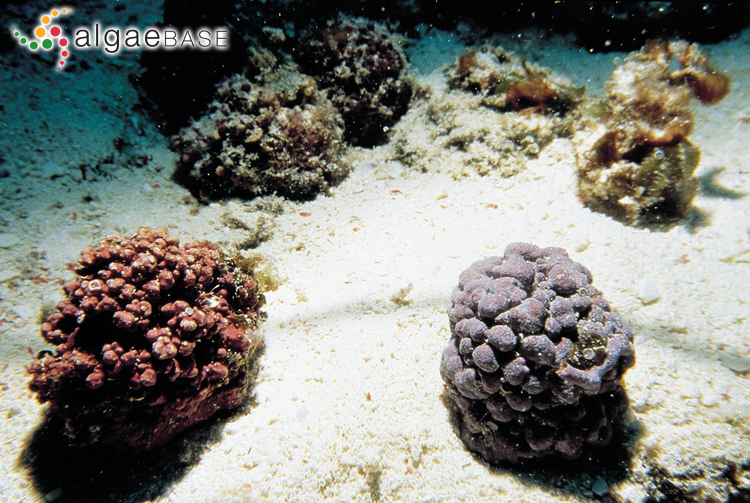 Type locality: Brazil: Fernando de Noronha: Chaloup Bay (Silva 1996-to date). Lectotype fide Adey & Lebednik 1967: H.N. Ridley, T.S. Lea and G.A. Ramage; 14 August-24 September 1873; no habitat data on type. TRH C15-3212 (Sissini et al. 2014: 305). Accesses: This record has been accessed by users 2310 times since it was created. Horta, P.A., Scherner, F., Bouzon, Z.L., Riosmena-Rodrigues, R. & Oliveira, E.C. (2011). Morphology and reproduction of Mesophyllum erubescens (Foslie) Me. 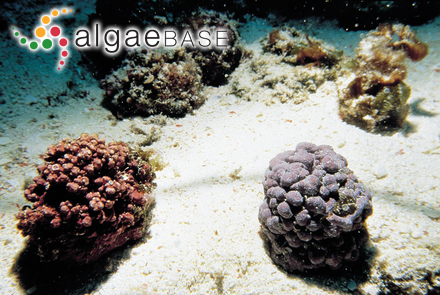 Lemoine (Corallinales, Rhodophyta) from Southern Brazil. Revista Brasileira de Botânica 34(1): 125-134.